Spa Cruising is a fantastic opportunity to unwind, rejuvenate whilst experiencing the very best the Maldives has to offer. Enjoy stunning beaches, turquoise lagoons, swimming, snorkeling as you cruise from Atoll to Atoll and to relax and rewind either more, experience a full range of spa therapies and treatments as well as sunrise or sunset yoga. 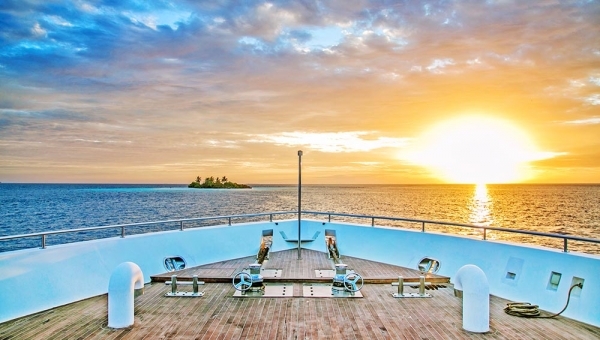 Leave the Maldives after experiencing a Spa cruise, completely revitalized!